I recently realized that I haven’t updated my resume in almost a year. A whole year! That’s about as long as I’ve been blogging. What’s my excuse? I have none. Do bloggers really need resumes? Why not? People always wonder exactly what do bloggers do all day, so why not showcase your marketable blogging skills in a resume? A resume is supposed to highlight your blogging experience and talents, your knowledge and abilities. Some may say, “All you do is write and post it. 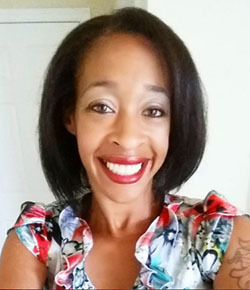 What’s so hard about that?” Well, I’m here to tell you that it takes a great deal of time, knowledge, and research (yes, research) to start a blog and to keep it going. 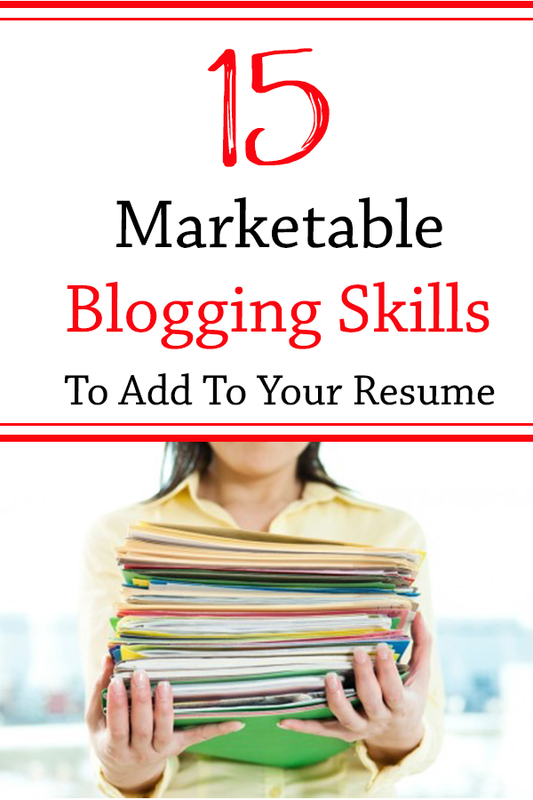 There are quite a few marketable blogging skills for a resume. I came up with this list for bloggers (and non-bloggers who are curious) who want to know what types of things can go on a blogger’s resume. Enjoy! Writer: Surprise, surprise! In order to be a blogger, you have to write. Am I right or am I right? Editor: MS Word may have spellcheck, but that doesn’t mean it will catch every grammatical error. It doesn’t catch there, their, or they’re. You have to be the one to read and reread and make changes to your post before publishing. Photographer: Yep, you are a photographer! You’re always snapping pictures on your point-and-shoot, dslr, and even your cellphone. You have to make sure everything is perfect. That means knowing what room in your house gets the best natural light, what time of day to get that perfect shot, making your family wait for thirty minutes after dinner is ready so you can take pictures of food (and then having to reheat it), and even making sure heads are tilted correctly when trying to get family shots. Product Tester: Of course you’re a product tester. Who else tries out the newest products to let us all know about how wonderful (or terrible) they may be? You, that’s who! Recipe Author: It’s easy to go in the kitchen and cook a great meal. What isn’t easy is going in the kitchen, pulling out all of your ingredients, measuring tools, pen, and paper and writing down the amounts of each ingredient you used and in which order you used them in. After all of that rigmarole, you have to write detailed step-by-step instructions about how you made your lovely meal. Professional Recipe Tester: I don’t know too many people (if any at all) who don’t taste what they cook. I understand that family and friends may be part of your recipe tester team, but remember that you are the Head Recipe Tester. HTML Coder: When you first started blogging, html probably looked like a foreign language. It still is a foreign language to me, but at least I’ve learned the basics. After reading many tutorials, asking fellow bloggers, or just trial and error (a lot of errors), you now know what to type after you see “img src” or “text area”. By any means, you are not an expert, but you definitely have enough experience to write it on a resume. Graphic Designer: How does your blog look so beautiful and professional? I know you just didn’t wish for it and it magically appeared. You took the time to choose your color scheme and your theme. You painstakingly designed your buttons and picked out the font you wanted to use for your logo. So yes, you’re a graphic designer! Publisher: It may have been a challenge to learn how to publish a post in WordPress, but you finally figured it out. Whether you submit your posts immediately or schedule, you’re still the one who presses the publish button. Buyer: You buy all of the supplies needed for your crafts, recipes, diy projects, etc. It may not seem like a job because it’s so much fun buying everything you need, but it is a job. Marketer: You have to put the word out about your blog (unless you’re just blogging for you), so you have to implement some marketing techniques. Attending blogger conventions, passing out business cards, making your presence known on Facebook, Twitter, Google+, and even visiting other blogs to introduce yourself are all part of marketing your blog. Advertiser: You are an advertiser every time you add someone else’s button to your sidebar or review a company’s product on your blog. Crafter/Designer/Decorator/etc. : You take the time to share your passion in crafting, designing, decorating, etc. with the world, so why shouldn’t you be recognized as such? Time Manager: You may wish that you can wake up, blog all day, and go to bed at night. Well, it’s definitely NOT that easy! Between waking up and going to bed (and squeezing in blogging somewhere), you have to cook breakfast, run the kids to school, attend meetings, take conference calls, spend time with your family, etc., etc., etc. The list can go on and on. You have to manage your time properly in order to be able to accomplish all of that in a day. Super Woman/Man: I wouldn’t suggest adding this on a resume, but it’s nice to think that you have super powers. How else can one accomplish 1-14 without being a super woman/man? Now that you know how to add your blog to your resume, will you be updating it soon? Hi, Theresa! Thank you so much for stopping by and supporting me! Thank you so much, Diana! I’m on my way to your blog now. Love this. I don’t think we realize how qualified we are for almost any position 🙂 Thanks so much for sharing this. Stopped by from Daily Blog Boost. Hi, Joann! I couldn’t agree with you more about our qualifications. Thanks for reading! I love this. It’s so true! I still have people give that inconsiderate smirk when I say, “I have a blog.” I should just tell them that I have a business–because whether you’re making money or not, that’s really how you have to run it if you want it to thrive. Or I have a child…because it’s pretty personal to me, it wouldn’t survive without me (especially when it’s this young), and I have to feed it, nurture it, discipline it (stupid spam and wrong code), and sometimes it breaks my heart (like when I accidentally hit “Publish” instead of “Save Draft”). I’m glad to know that I’m not the only one getting the smirks. I do treat it as a job and I love my job! LOVE LOVE LOVE this! I’ve been pondering on how I will ever update my resume ever again – since I’ve been out of work for three years now. This post is going to help me a ton. I didn’t realize how my blog could actually help me in that aspect. Thank you so much for sharing! Hi, Stacey! I never realized it either. Blogging is really a job which we gain a lot of valuable skills. Now I think I should go update my resume! I would divide Marketer up to include Brand marketing through social media influence and personally crafted brand experience promoted stories. (aka working our fingers to the bone promoting on social media and pushing the sponsored blog post). One more, Community Manager since we manage our own social media community. At least I still manage mine. Maybe someday I’ll hire a VA. I enjoyed this post!!! Great post! I haven’t updated my resume in about 8 years! I guess I shouldn get on that! I loved this post. I am just a small blog. I do not monetize and I don’t grow a lot because this is a hobby for me. One that takes very much time and thought. I was feeling a little low earlier thinking I had no talent, however, you just pointed out that I do. oh my gosh now that I read this, I haven’t updated mine in a year either and I totally have to now in a month since I am moving. it kind of awesome seeing on paper all the fun hats that we as bloggers wear. Loved reading this. As bloggers we certainly wear many hats and have numerous job descriptions! I should probably update my resume now that I am thinking about it after reading this. It’s always good to have an updated one on hand. You know I had never really thought about all the little things you need to become good at to be a blogger! This is such a great list! Great list. I’ve often wondered where did the name blog and blogger come from? with all the skills involved, it doesn’t sound professional enough LOL. So much goes into it, that people don’t realize. Oh, those titles make me feel really special! I sometimes talk negatively of myself when people ask me what I do for a living. I often say, “I just blog.” Enough of that. I AM A BLOGGER and so much more! Thanks for this boost of confidence! 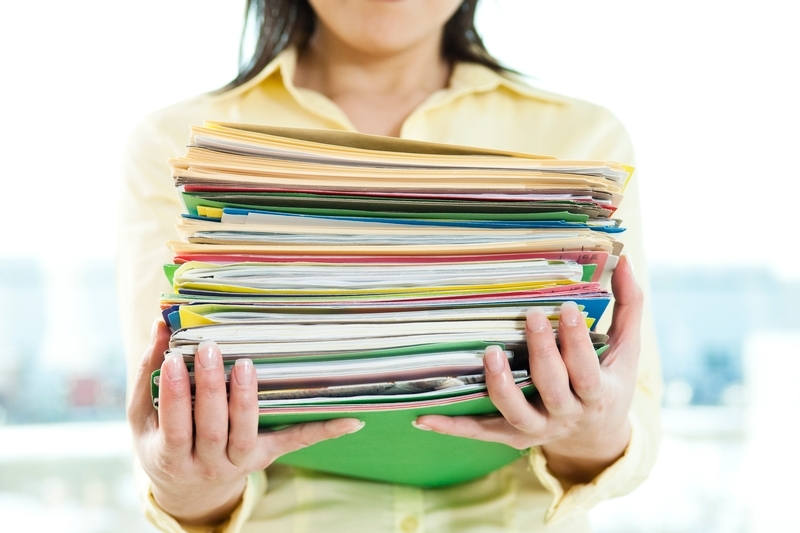 A resume is a great way to showcase yourself when looking for a job. I admit that I’m not good writing at it. But I think this would help me to try making again. To know if what would be the best thing in me. I still remember when I graduated from College. I was rejected from the first company I applied. Oh my I wish I am talented as you. I love updating my resume especially when I put my title under my name. It is so great seeing my milestone. Bloggers definitely have a long list of titles. It takes a very talented person to be able to tackle the job! Being a blogger really does make for an awesome resume. I have been able to land some neat jobs because of my work ethic. Unless you are a blogger, you probably don’t realize how much work goes into it or how many skills you must acquire. This is a comprehensive list of all we do.